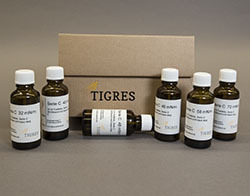 Would you like to test the surface energy of your materials? Then use our test ink. It is available in different material classes and with a range of surface tension. Examining the surface with test ink is simple, even for amateurs. Please refer to the shipping information for details. 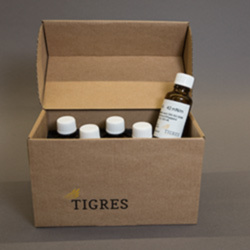 For example, there are restrictions in regard to air freight for some types of test ink. 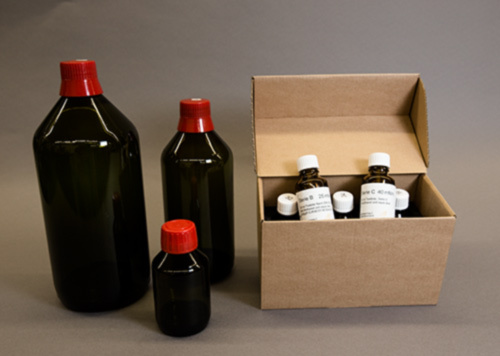 Our test ink is available in different package sizes, so you can order the quantity required for your application. Our standard series A pursuant to DIN ISO 8296, ASTM D 2587 99a, is suitable for all materials. The blue test ink is made up of formamide and ethlyglycol (poisonous). Our special series B for PVC surfaces, some produced pursuant to the expired DIN 53 364. The red test ink is made up of methanol and water (some are flammable/toxic). 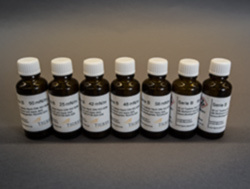 Special series C test ink poses no health risks as it is made of ethanol and water. Please first check that it is suitable for your specific test.